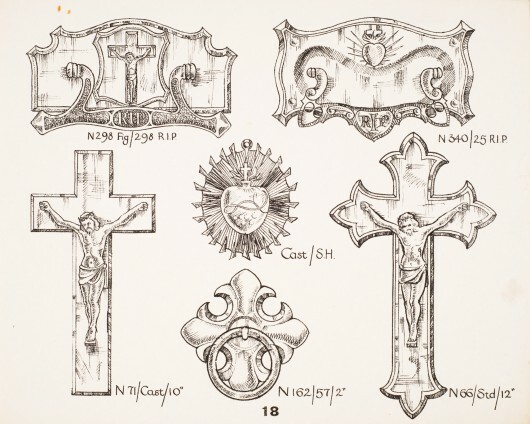 The Newman Brothers’ collection is both extensive and unique, contributing to our understanding of the changing attitudes to death and indeed life over a hundred-year period. 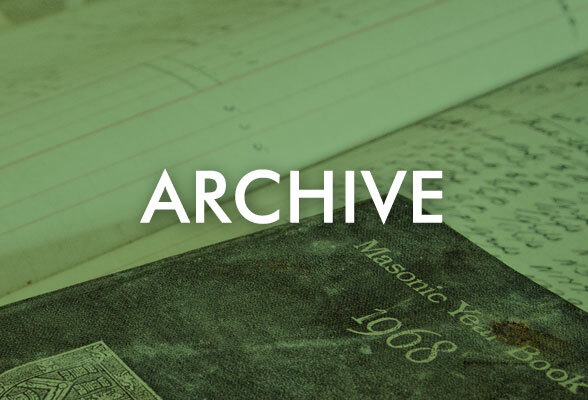 Click here to see our new Collections Archive. Collections research is an ongoing process that continues to colour the bigger picture of Newman Brothers, filling many missing gaps in our current knowledge. This is an exciting period as we have only really scratched the surface, as the company archive hasn’t been sufficiency scrutinised since Newman Brothers closed its doors in 1998. Thanks to our talented research team and their admirable patience and appetite to ‘resurrect’ lost knowledge, we have managed to build a history of the company through the use of key documents in our possession and the wealth of archives on-line and in local libraries. We will continue to provide updates on all research pursuits and highlight any new discoveries via our blog and the links below. For now, click on the links below or search our Collections Archive to explore our current research findings on the products that made Newman Brothers famous. 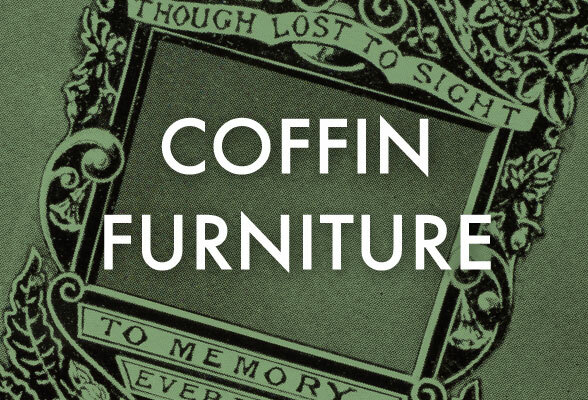 Newman Brothers made a range of exquisite coffin furniture in both metal and plastic, specialising in nickel plated and electro-brassed finishes. 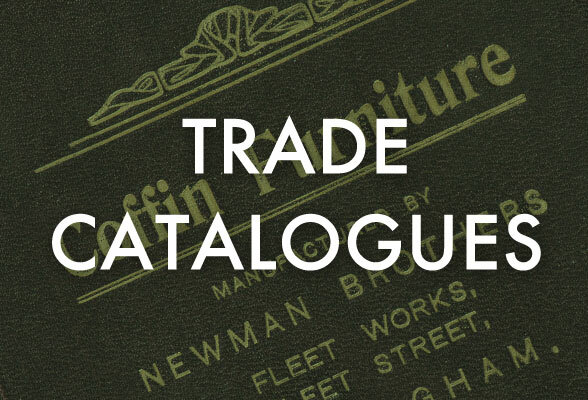 The surviving trade catalogues give us a unique insight in to the company’s product range over a hundred-year period. 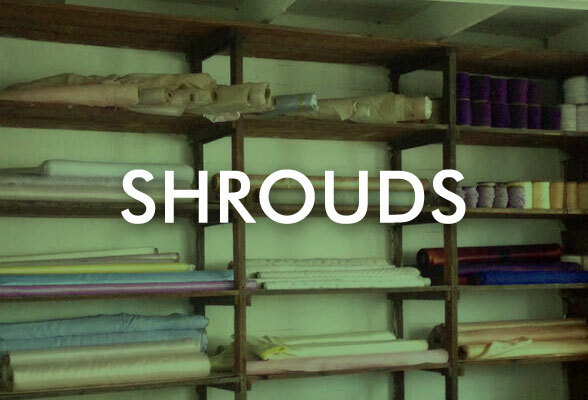 Shrouds or ‘robes’ come under the spectrum of products known as ‘coffin furniture’ and Newmans offered a wide range of these textile goods. Although Newman Brothers’ history spans just over a hundred-year period, most of our paper archive dates from the 1930s onwards.